Grab a handful of handmade excellence and get a sweet bonus gift while you’re at it with our 5 Robustos + Torch Lighter Premium Variety Pack Deal. 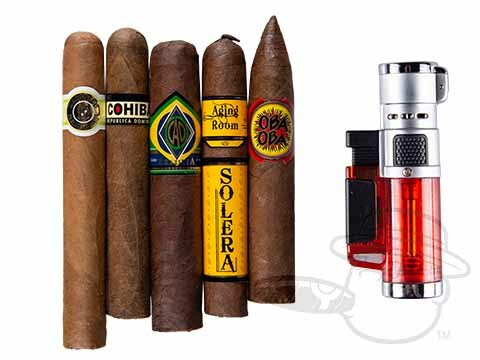 Not only does this low-priced premium pack come with 5 fine smokes from Perdomo, Macanudo, Cohiba, & more, but it also includes a handy torch lighter for your toastin’ & roastin’. Jump on it!